— Mon thru Wed, June 11th, 12th, & 13th, 2018 — w/ George Garcia (Hawaii) & Christy Cote (San Francisco) — Only $140 per Person — A Great Bargain !!! THE GREATEST DEAL & BEST BARGAIN ANYWHERE IN THE WORLD OF TANGO !!! Featuring 10 Workshops for Only $140 per Person — A Really Great Bargain !!! Held over 3 Nights, 7 to 11 pm, M-W June 11-13, for Only $140 per Person for the Entire Program !!! 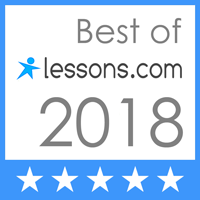 This is a wonderful overview of The World of Tango: drills & exercises, walking & pivoting, music & timing, leading & following, basics & fundamentals; and beginning, intermediate, advanced, & showcase-level material; also milonga & vals; includes a “Tuesday Night Practica” (tango practice session) & a special “Wednesday Night Milonga” (tango dance party). This is a really great bargain for an instructional course of this magnitude, and with 2 instructors of very high caliber !!! Every year in June, Marzena Stachura & Slawek Sochacki, owners of Dance United Ballroom Academy, in Laguna Hills, CA, host a great dance camp in Las Vegas. This year they will be at the Gold Coast Hotel & Casino, Monday through Wednesday, June 11th, 12th, &13th, 2018. Included in this dance camp is a multi-workshop tango program called “Las Vegas Tango After Hours Instructional Course.” Ten tango workshops will be held over 3 nights (Monday, Tuesday, & Wednesday), from 7 to 11 pm, and offered at a great bargain price ($140 per person for all 10 workshops — a really great bargain !!!) They will be taught by George Garcia (from Hawaii) and Christy Cote (from San Francisco). These are two extremely accomplished, professional, and well-organized instructors! Also included is a “Practica” (tango practice session) on Tuesday night, and a “Milonga” (tango dance party) on Wednesday night, and which will be open to our local Las Vegas Tango Community. In previous years “Las Vegas Tango After Hours Instructional Course” has always been very popular and great fun, and with big turnouts; and part of the fun is interacting with tango students from all over the world who are learning what you are learning. The cost is only $140 per person for all 10 workshops plus the special Tuesday Night Practica & Wednesday Night Milonga (hotel package not included), making “Las Vegas Tango After Hours Instructional Course” the greatest bargain in the World of Tango, given the magnitude of the course, and the high caliber of the instructors! This is a really great deal !!! There is something here for everyone !!! “Las Vegas Tango After Hours Instructional Course” Is A Great Tango Event !!! GEORGE GARCIA and CHRISTY COTE are very adept and experienced teachers, very professional, and very well organized. Each brings a lifetime of dance training into their instruction. They have taught all over the world, and both have had decades & decades of tango training & experience. They can handle with ease dance material for tango, milonga, & vals that often can be daunting & overwhelming in less-experienced hands. 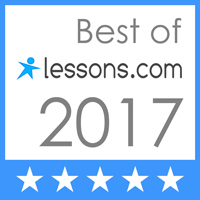 They make their classes very pleasant and great fun; and in the past, all have agreed that their “Las Vegas Tango After Hours Instructional Course” has been a wonderfully enjoyable & valuable experience.